Live the Island life to the fullest in this 3 bedroom, 3 bath townhome located in Palms of Tierra! Unique end unit that has both an open tennis court view and partial marina water view. Renovated kitchen with stainless steel appliances, laminate floors throughout, and tons of natural light shines through the updated hurricane impact windows and sliders. Master bedroom includes plantation shutters and a balcony with a view. This townhome has a two car tandem garage and one of the only townhome communitys with your own driveway. Enjoy the community pool, spa, tennis courts and fitness center, all maintained by the HOA. 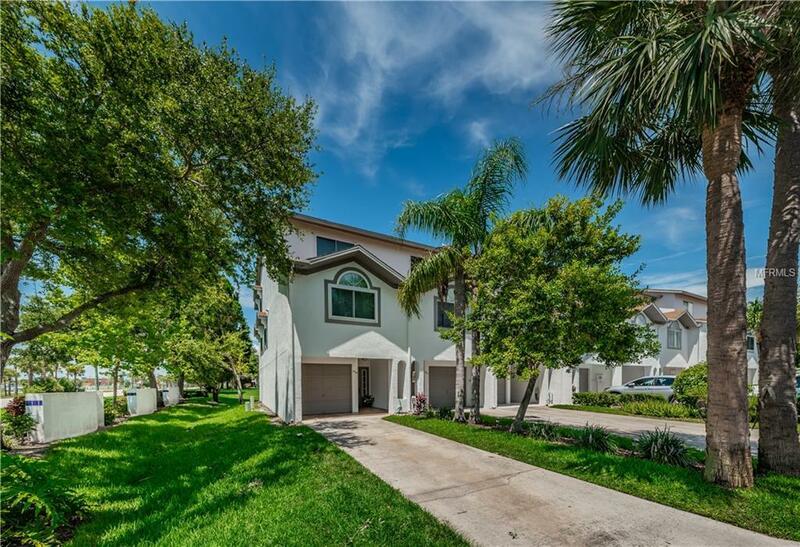 Minutes away from Floridas best beaches, downtown St Petersburg, shopping, restaurants and museums!